Warranted for continuous 24-hour use. 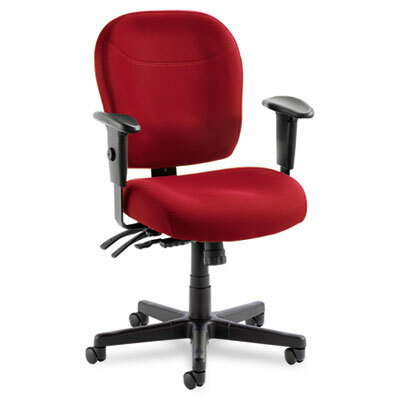 Ergonomic design combines with high performance functions for all-day comfort. Multifunction mechanism allows back angle adjustment relative to seat, adjustable tilt (free floating or infinite locking positions) and forward tilt. Waterfall seat edge reduces pressure at the back of knees. Padded slant T-arms are height- and width-adjustable. Impact-resistant molded plastic shell. Five-star base with casters for easy mobility.